With the holidays upon us, I am so excited to join with a few of my Favorite Bloggers that I have personally been following for years! I am really looking forward to sharing a handful of my favorite things - some items I use year-long, while others I look forward to buying for the Holidays to make it extra special!!! This pressed-powder foundation is a MUST in my makeup bag. 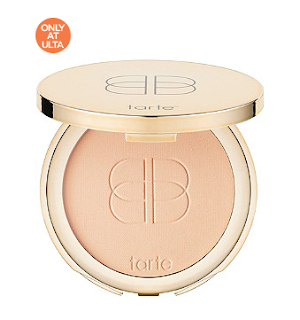 On crazy days, I like to use a tinted moisturizer and top it with this tarte product and then I head out the door! You HAVE to try it! I can't even start to explain how much I love this! 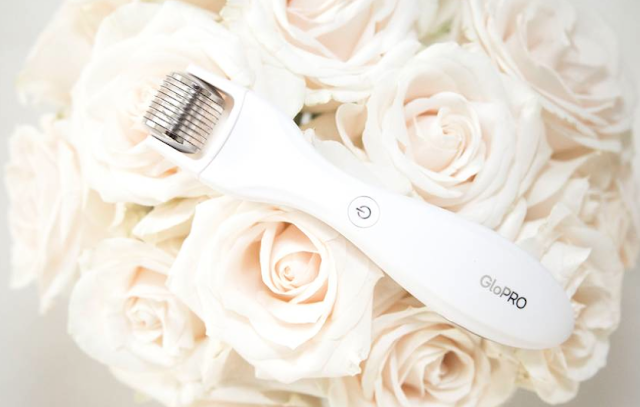 Micro-needling is all the rage, and I must confess I love to get it done every once in a while:) But to save on my pocket book, this tool is so AMAZING!!! Gentle but affective between professional sessions. My skin honestly glows after each use. LOVE!!! Ok ladies... I have pretty much tried every mascara on the market. Like no joke! I keep going back to a classic! 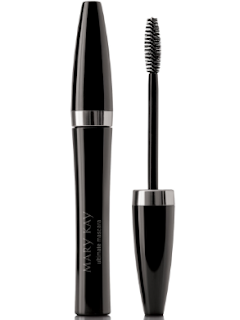 Mary Kay Ultimate Mascara! I love to layer it with other mascaras to add to the volume! For sure a FAVORITE of mine!!! If you know me, you'll know how much I LOVE to decorate with lots of pillows. 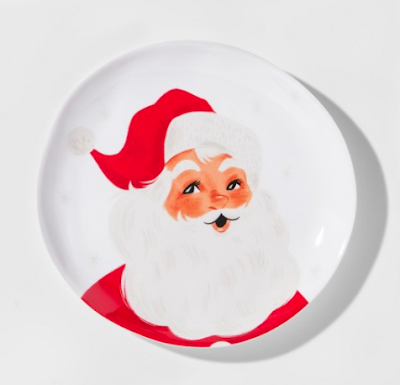 H&M Home is always my first stop! 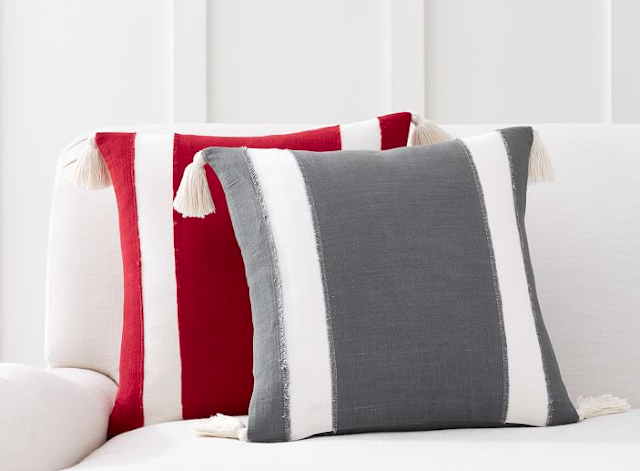 With pillows starting at $5.99 you can't go wrong! Ever so often, I like to splurge on pillows. These from Pottery Barn are so versatile and will last for years to come! The tassels won me over! I bought one in each color. Love them so much!!! 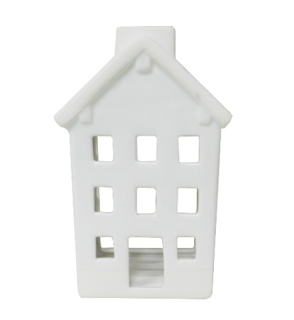 These would look darling in any Christmas or Winter Decor and for $6.00 you can't go wrong! Scarfs are definitely my winter favorite. Around these parts, we get LOTS OF SNOW and our wardrobe is pretty much coats and boots. I like to use scarfs as a fun way to add color to my wardrobe and mix it up a bit. 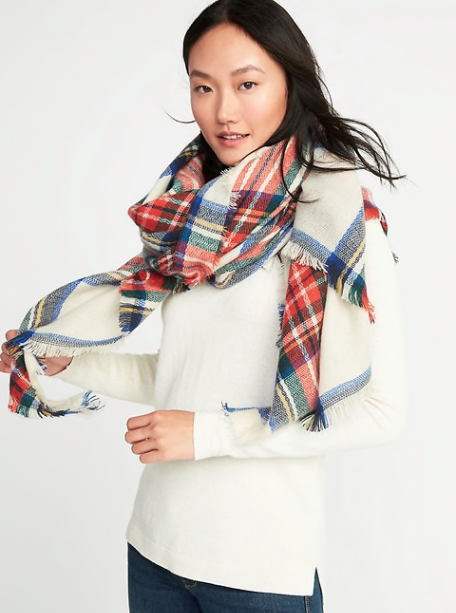 This scarf blanket from Old Navy is just too perfect! Long necklaces are a staple for me. 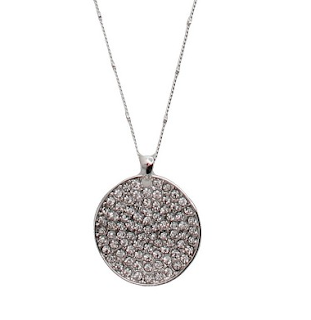 This one from Target is even prettier in person and it's under $15, so grab some for your girlfriends, moms, or sisters... it could also be a great stocking stuffer! Yet another Target find! THIS SHIRT!!! 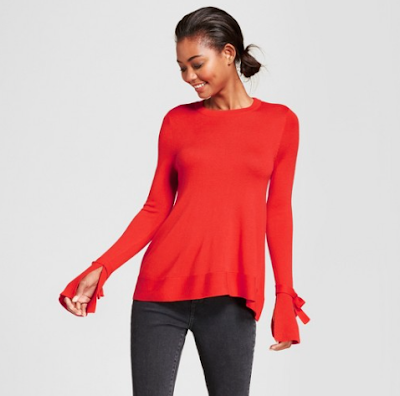 So flattering, so girly! The bows make you feel so pretty! It comes in many colors: I bought 2 because I love it so much. Be sure and size up. I usually wear an XS and I Bought a small in this shirt. 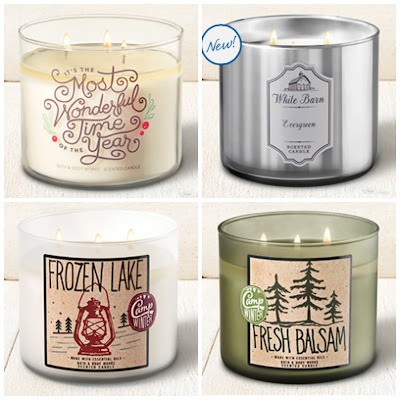 Every Christmas Season, I look forward to filling my home with winter scents! These 4 are my personal favorites! I love walking into my home when it smells like fresh pine...HEAVEN!!! It's a perfect hors d'heurve to bring to your next Party! There you have it...my short list of favorites! Hope this helps with some shopping ideas! I am linking one of my personal favorite bloggers. She has been such a inspiration to me in my own home decorating over the years. Head on over to her blog next! Hello Heidi! Thank you for sharing your favorites -- I love H & M pillows too! 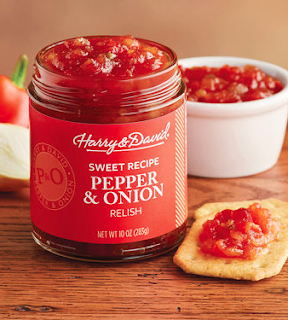 The Harry & David relish looks so good, I'm adding it to my list. YOU MUST!!! it so yummy with cream cheese and crackers! Heidi--I used that Tarte powder foundation, too, and totally agree! That and dry shampoo are all that are getting me through this week. :) Thanks for sharing your favorites with us.